FREE SHIPPING AND PILLOWS - 30 Year Limited Warranty! Compares to the TEMPUR-Contour Supreme™ Breeze! Compares to the TEMPUR-Grand Bed for a much LOWER cost! Mattress and Pillows only! Foundation not included. Therefore the 12" mattress will contour to the body more than the 10" mattress will. Compare to the Genius Mattress! What is the difference between the 10" mattress and the 12" mattress?. Therefore the 12" mattress will contour to the body more than the 10" mattress will. What is the difference between the 10" mattress and the 12" mattress?. Mattress Only! Foundation not included. Mattresses must be in good-clean condition and you must have the receipt. Mattress Only! Foundation not included. Therefore the 12" mattress will contour to the body more than the 10" mattress will. What is the difference between the 10" mattress and the 12" mattress?. Mattresses must be in good-clean condition and you must have the receipt. Dynasty Mattress 15.5" GEL Memory Foam Mattress + Reverie 8Q Adjustable Base! UnderBed Lighting, USB Port, Massage, Alarm, Bundled! Compare to Wellbeing Refined, CertiPUR-US® certified! Therefore the 12" mattress will contour to the body more than the 10" mattress will. Made with 4-layer construction: 3" HD Cool Gel Foam, Dual 2" Cool Airflow Foam, 5" High Density foam for ultimate support base! 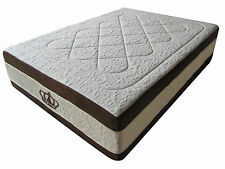 Compare to icomfort the Genius, CertiPUR-US® certified! Introducing the NEW! Mattress Only! Foundation not included. 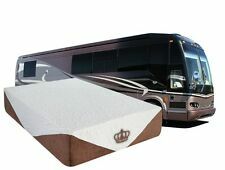 Therefore the 12" mattress will contour to the body more than the 10" mattress will. What is the difference between the 10" mattress and the 12" mattress?. Therefore the 12" mattress will contour to the body more than the 10" mattress will. Made with 3-layer construction: 3" Gel Foam, 2" Soft Foam Support, 7" High Density foam for ultimate support base! 2017 S-Cape 2.0 Adjustable Bed System. 4"-Profile Foundation Style Base with Wall hugger Technology State-of-the-art Wall hugger technology lifts you up while simultaneously gliding you back – keeping your nightstand within reach. Mattress Only! Foundation not included. King size: W76" x L80" x H12". 3" Gel Foam! Sleep Cool Technology Foam. 3" Gel Foam, 4" Cool Airflow Foam Support, 5" High density foam for ultimate support base. 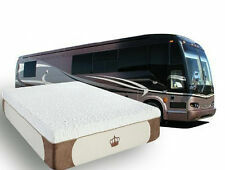 DynastyMattress New! Extra base layer support for the CoolBreeze2 material and is also designed to help disperse heat from this mattress! Size:King Introducing the New! Topped with a new modern cooling silk cover, made easy to wash with a four-way zipper.